Each year we bring together student councils in every region of Ireland for a full day to find out the difficulties and issues of students in that region. We also elect two Regional Representatives at these meetings to represent each region for the year. As you, our member schools, will know, the constitution, the policies and the leadership of ISSU are absolutely central to its operation, and that's why we appeal to every member school to send delegates in order to make ISSU completely representative for second-level students. Cork on the 22nd of November. 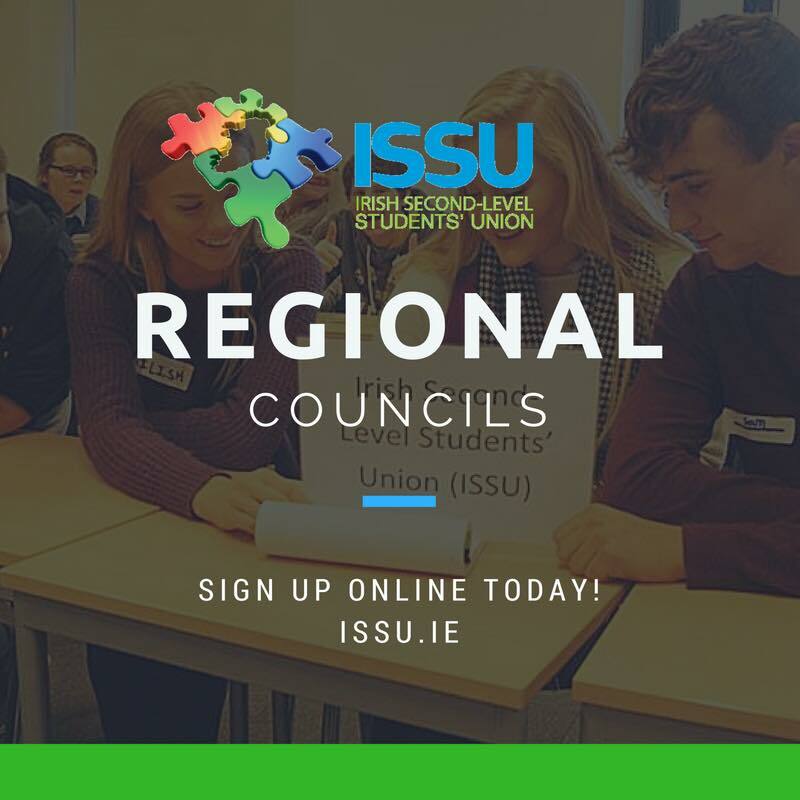 Students from Co. Cork, Co. Waterford and South Co. Tipperary may register to attend this ISSU Regional Council. Co. Louth, Co. Meath, Co. Kildare and Co. Wicklow may register to attend this ISSU Regional Council. Cork // November 22nd - I am a student from Co. Cork, Co. Waterford or South Co. Tipperary. Dublin // 6th December - I am a student from Co. Louth, Co. Meath, Co. Kildare or Co. Wicklow. Are you a member of your school student council? Any Medical requirements we should know about? Any dietary requirements we should know about? Anything else we should be made aware of?